We at Mortex have been exporting Bulk Ferro Alloys and other Iron and Steel products for over 15 years. With the inception of our manufacturing facilities, our exports have grown manifold. 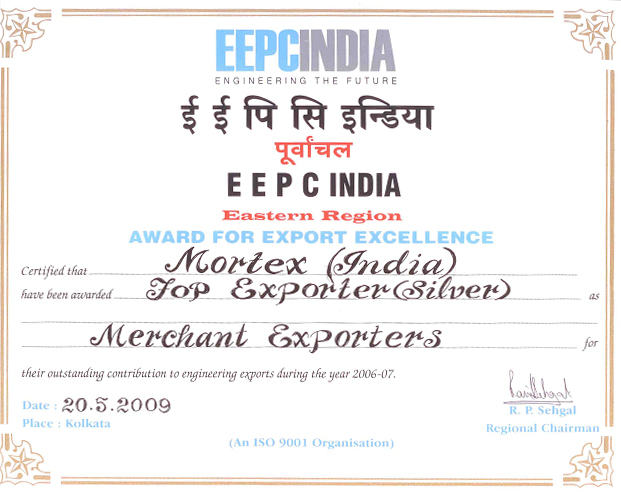 Our export growth is evident from the awards and recognitions we have received over the years from Engineering and Export Promotion Council of India (EEPC), a Government of India sponsored organization. 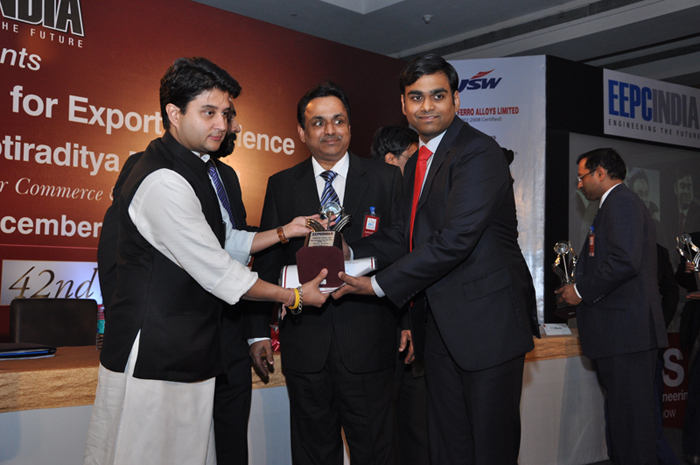 Mr. Ayush Keyal and Mr. Mahesh Keyal receiving the “All India EEPC Award Top Exporters - Silver Trophy” Medium Enterprise 2009-10 from Shri Jyotiraditya M. Scindia, Hon’ble Minister of State for Commerce & Industry, Government of India. Set up by Ministry of Commerce, Govt. 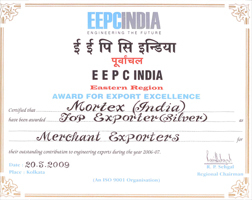 of India, for export promotion of engineering goods, projects and services from India, this ISO 9001:2008 organization works to bridge the gap between Indian exporters and foreign buyers by providing professional services in matters relating to export policies, product quality, market trends and export finance. It is the largest Export Promotion Council with about 12,000 organizations as its members.